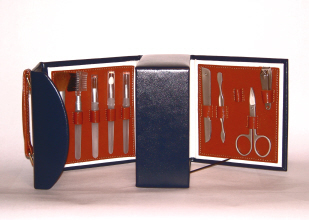 A beautiful manicure and make-up set box in navy and tan leather. 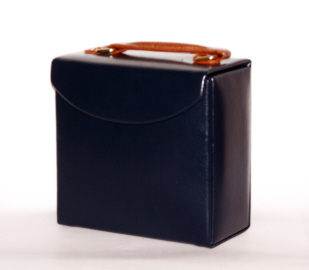 Approx 6" x 6" x 3"
Leather earring box for home or travel. Available in Black. Will hold a minimum of sixteen pairs of standard size earrings. Size 21cm x 10cm. Boxed.